“It’s weird being here without all of my stuff.” I said to Lee on the phone yesterday afternoon. “It’s weird having your stuff all over my—I mean our—house without you here.” He returned. It is official. Living in an empty house is depressing. All of my things are in my new home while only a few necessities remain here so that I can continue to exist having contact with the outside world as I tie up all of my loose ends. After three days, I finally put my finger on it and found the right words. I feel as though I’m in residential purgatory. Now, I’m not catholic or anything so I don’t know much about purgatory per se… but from my limited understanding of it—it seems an appropriate term. I am merely waiting here in between appointments, lunches with friends and niece’s/nephew’s winter sporting events. I know I mentioned this on the blog earlier but with nothing but a single bed, a 13″ TV, a stereo, one place setting of dishes, one set of silverware, a pot, a pan, a cheese grater and a computer with a lawn chair in front of it… I am beginning to feel like a bit of a squatter in my own home. I loved this house the moment I saw it and it has done a great deal of restoration in me as previously noted in a post from last week. But I realize now that it isn’t so much the walls of the structure, but rather what they contain. Pictures of my family, photo albums, journals, books, gifts, pieces of furniture and knick-knacks with special memories attached to them. These are the things that make up a home. And if you’re lucky enough to have some or even one person also inside those walls who loves you, talks to and listens to you at the end of the day… well then that’s just gravy. So true! 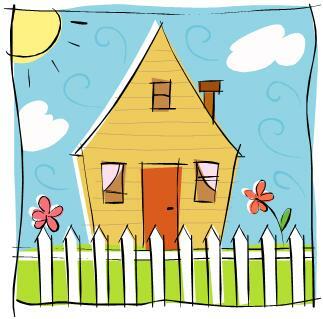 It is eye opening when a house becomes your home and the memories you made in that home. I have some great memories in my heart from my first home back in the Midwest and am making memories in my current house out West too. Beautiful post – Have a Great Day:) Hang in there with the transition. Thank you Renee 🙂 I am hanging in… You have a great one too! Thank you! 🙂 And thank you for subscribing! It is always exciting to see a new subscriber and “meet” someone new. I look forward to checking out your blog too!